"I am the only (state attorney general) in America fighting to hold the big tech companies accountable for their behavior." Is Josh Hawley the only state AG going after tech giants? By Louis Jacobson on Tuesday, August 14th, 2018 at 1:00 p.m.
Josh Hawley, the Republican state attorney general who is challenging incumbent Missouri Sen. Claire McCaskill in November’s election, has gained a reputation for taking on tech giants Google and Facebook. 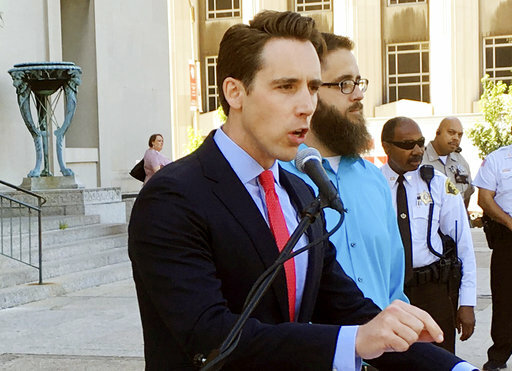 Last Nov. 13, Hawley announced that he was issuing an "investigative subpoena" to Google, as part of an investigation into whether the search-engine company has violated Missouri’s consumer-protection and antitrust laws. Then, on April 2, he issued an "investigative subpoena" to Facebook, to look into how the social media company shares and tracks its users’ data. Earlier, he had launched investigations into app-based ride-sharing service Uber and credit bureau Equifax, according to his "tech investigations" web page. On several occasions recently, Hawley has portrayed himself as being unique among state attorneys general in this regard. "I am the only (attorney general) in America fighting to hold the big tech companies accountable for their behavior," he said in a primary victory speech on Aug. 7, 2018. 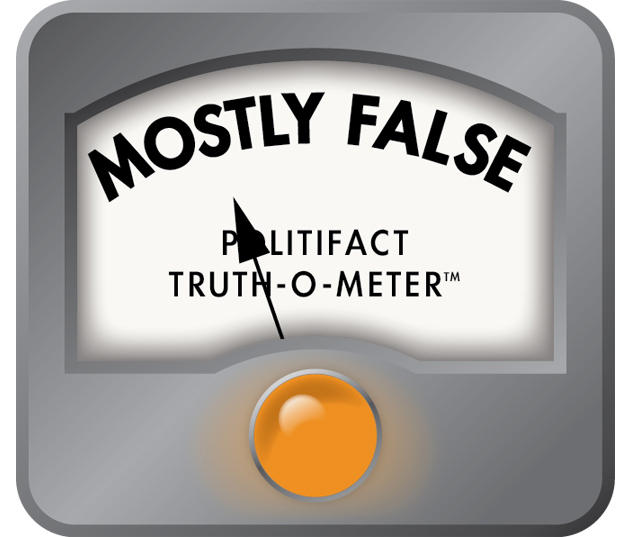 Hawley made similar assertions in two radio interviews. So is Hawley really alone among state attorneys general in holding tech companies accountable? The record shows that while Hawley has been notably active on tech issues, he is far from alone among attorneys general. For instance, more than 40 state attorney generals from both parties -- including Hawley -- signed a joint letter on March 26 to seek information from Facebook, following revelations that user information from Facebook profiles was provided to third parties without the users’ knowledge or consent. "With the information we have now, our trust has been broken," the letter said. "We appreciate the information you have provided to date and expect your full cooperation going forward in our inquiries into your business practices. To that end, we expect a full accounting for what transpired. …"
For years, "attorneys general of both parties have been deeply involved in privacy prosecutions and other Internet-related matters," said James Tierney, the former attorney general of Maine who has taught about state attorneys general at both Columbia University and Harvard University. When we checked with Hawley’s campaign, they said he was referring to cases in which the office issued civil investigative demands, which is the equivalent to a subpoena from an attorney general’s office. • Washington state Attorney General Bob Ferguson, a Democrat, filed suit against both Facebook and Google in June 2018 over their alleged failure to "maintain legally required information for Washington state political advertising placed on their online platforms since 2013." • West Virginia Attorney General Patrick Morrisey, a Republican, filed suit in April 2018 against Equifax, alleging that the company "ignored warnings to secure its system" and "failed to safeguard consumer information," leading to a large data breach. • Pennsylvania Attorney General Josh Shapiro, a Democrat, sued Uber in March 2018 for violating Pennsylvania’s data breach notification law. • Texas Attorney General Ken Paxton, a Republican, served a civil investigative demand on Equifax over the data breach in November 2017. • Mississippi Attorney General Jim Hood, a Democrat, filed suit against Google in January 2017 over how the company "maintains and uses data collected from Mississippi public school students who have Google’s G Suite For Education accounts." • Earlier, in 2015, Hood subpoenaed Google over their search practices, and when the maneuver was blocked in court, 40 attorneys general -- 23 Republicans and 17 Democrats -- wrote a letter in support of Hood’s subpoena. In addition, the attorneys general of Massachusetts and New York have begun an investigation into Facebook over its data-sharing practices, including a "demand letter" sent on March 20, 2018. It’s worth noting that Hawley’s actions against Google and possibly Facebook are potentially broader in scope than the other lawsuits mentioned above. The other active lawsuits tend to be more narrowly framed around specific violations. Hawley has had a "pioneering role in confronting ‘big tech’ over potential consumer protection and antitrust violations," said Kelli Ford, a spokeswoman for the Hawley campaign. Scott Cleland, the president of Precursor LLC, a consulting firm specializing in the Internet, agreed that Hawley’s actions stand apart from other attorneys general. Hawley "is investigating Google broadly, and civil investigative demands are serious legal actions," Cleland said. Mark David Blafkin, founder and partner at Verge Strategies, a consulting firm that has advised Silicon Valley companies, said that civil investigative demands are not necessarily made public, so it would be "tough to confirm how many others have been sent to tech firms." Blafkin said that while the statement Hawley made is probably overly broad, he added that Hawley has shown himself to be one of the leaders among attorney generals in investigating the tech sector. Hawley said, "I am the only (state attorney general) in America fighting to hold the big tech companies accountable for their behavior." This is an exaggeration. His actions against Google and Facebook do have a particularly broad focus, but he is not alone in pursuing tech giants -- other attorneys general have also filed lawsuits against those and other companies during the past two years. We rate the statement Mostly False. Published: Tuesday, August 14th, 2018 at 1:00 p.m.